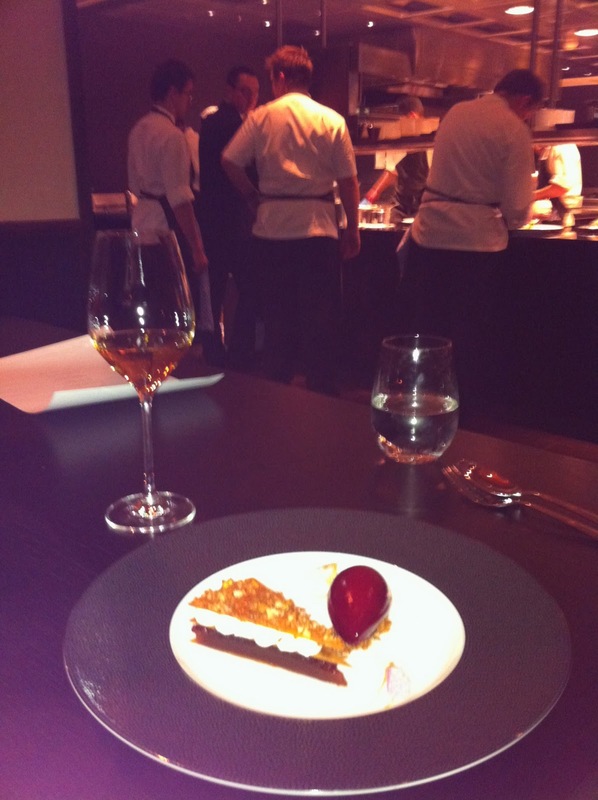 Some highlights from the Chef’s table at “Dinner”…. Wow. What. A. Night. 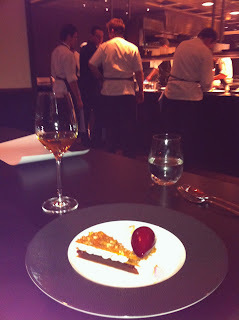 I am still full after Hubby and some very dear friends dined at Dinner by Heston Blumenthal last night. The dining experience at Dinner is just that, an experience. While I’ve heard two friends proclaim, “It’s great, but it’s not the Fat Duck,” I still think it is well worth the visit. Heston and Executive Chef, Ashley Palmer-Watts, created the menu which is inspired by the way that the British have prepared food in years past, as far back as the 16th century! Sounds weird, but they made it work. When I sat down and saw the “Meat Fruit” on the menu I was skeptical. This chicken liver parfait, which is meant to look like a Mandarin was delicious! And after several more courses of “Savory Porridge” (Cod cheeks, pickled beetroot, parsley and garlic), “Roast Turbot,” “Spiced Pigeon” (with ale and artichokes), and “Black Foot Pork Chop”… came the DESSERT! I just got an email from the Mandarin that Dinner is booked until June! So make your reservations for late summer now! Best AND first comment wins? AB (American Boyfriend) and I were planning on a lovely date night, but a double date night sounds great! 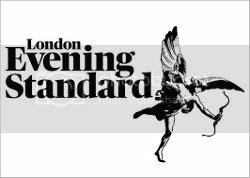 If we win – interested in meeting up for a drink before DINNER? American Girl from the OC here. I really want to check out Dinner, as all of my co-workers have been saying how great it is. I am also celebrating my birthday next week, so this could be an early present. Thanks you AG. Love your blog. Meat fruit?!?! Hopefully the food is as good as it is at the Fat Duck, because I have been dying to try Dinner. Let me the have the reservation so I can get crazy with Heston.